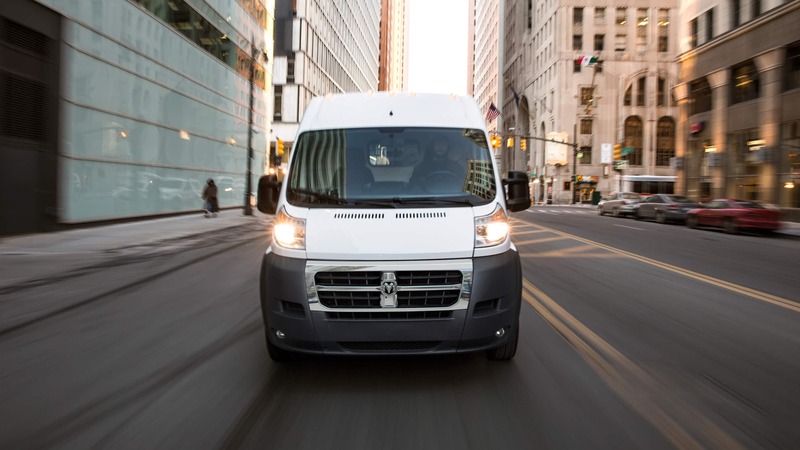 The Ram ProMaster City is an agile and versatile vehicle ready to dominate your day of deliveries in the city or pack in your friends for your latest adventure thanks to two flexible body styles! This van also offers one of the highest payload rates in the class at 1,886 pounds and a maximum cargo volume of 131.7 cubic feet so you can pack it full and still keep it organized. 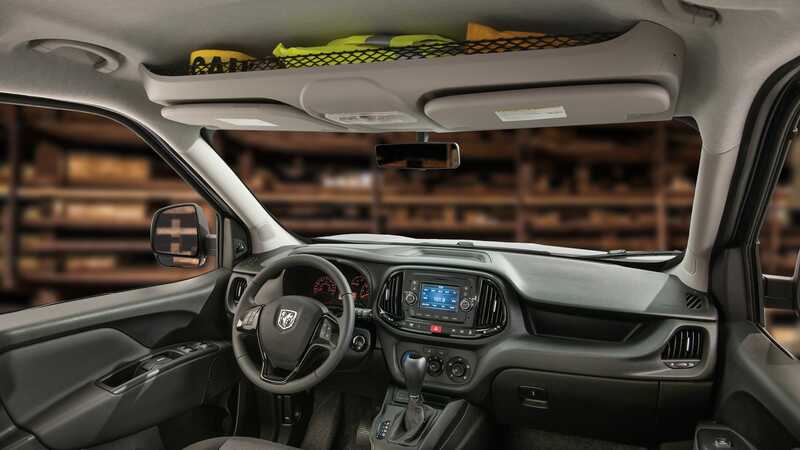 Ram is kicking things up a notch for the 2018 model year by outfitting each model with a standard rearview camera to help make navigating out of tight spaces easier than ever before and a five-inch touchscreen with the Uconnect infotainment 3 system! 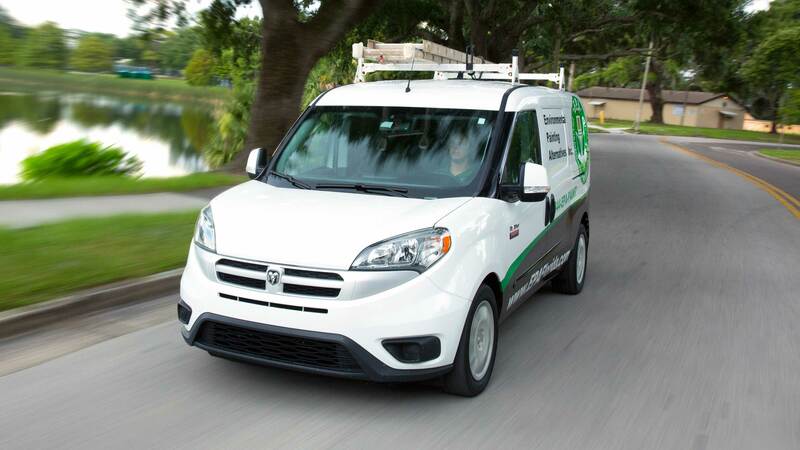 Check out the rest of our 2018 Ram ProMaster City review to learn more about this work van's powertrain, tech and convenience features, and safety equipment. 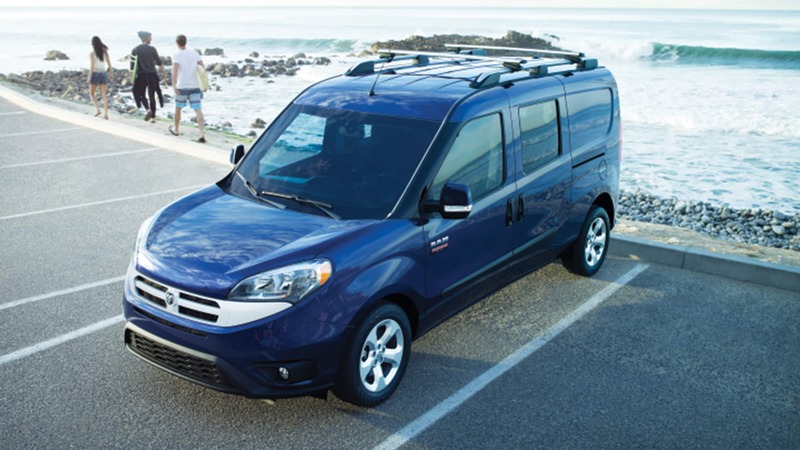 What can you tell us about the features of the ProMaster City? 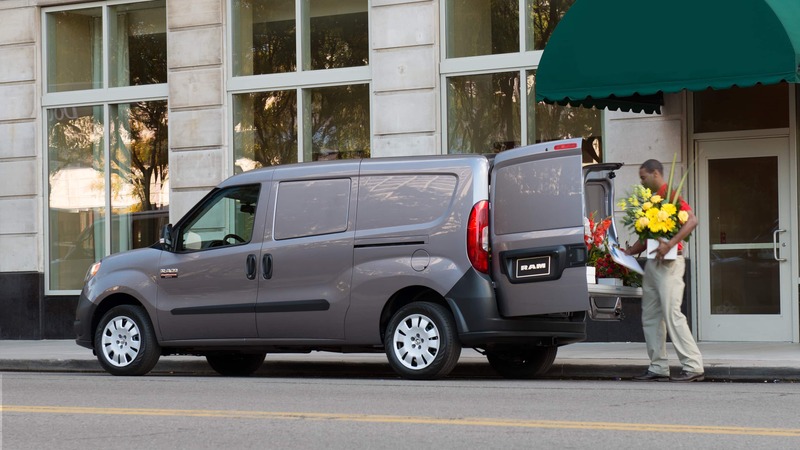 The ProMaster City offers an exterior design, with European roots for a little extra flair, that stands out from the rest of the work van segment and every model is outfitted with 60/40 split rear doors that swing open up to 180 degrees so you can easily load up the van. Inside the Tradesman model, you'll find a blank slate ready to be customized to fit all your needs while the Wagon model comes with a five-passenger seating configuration. 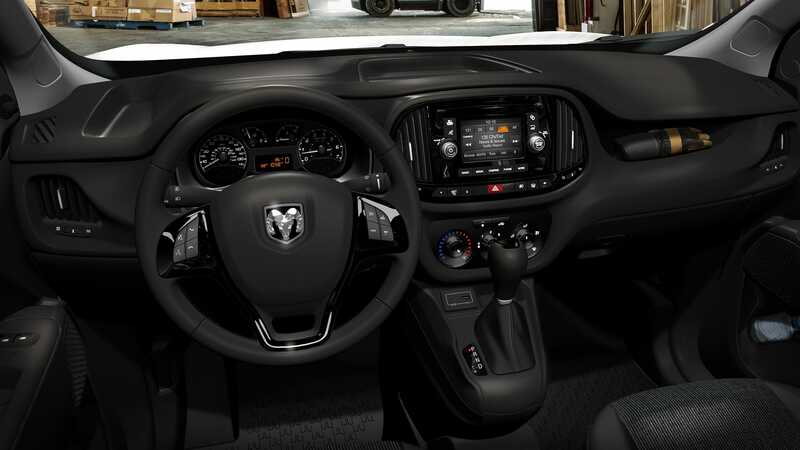 Standard features include cruise control, power-adjustable heated mirrors, upgraded cloth upholstery, an automatic dimming rearview mirror, Bluetooth connectivity, a front overhead storage bin, a five-inch touchscreen, and a tilt/telescoping steering wheel. SLT trim levels gain cruise control, a leather-wrapped steering wheel, power adjustable heated mirrors, upgraded cloth upholstery, privacy glass, and a leather-wrapped steering wheel. Options include a tow package, a cargo partition, remote start, navigation system, roof rails, and a rear window defroster. Does the ProMaster City offer safety features? The Ram ProMaster City van is designed to help you get the job done or complete another adventure on your bucket list safely and securely! The van is created with a reinforced body structure, three rear seat head restraints for the Cargo model, sophisticated airbags, trailer sway damping, electronic stability control and roll mitigation, hill start assist, a rearview backup camera to make moving in reverse easier and safer, power locks that engage when a certain speed is reached, brake assist, and four-wheel anti-lock brakes. Available safety and security features include a vehicle tracking system, a rear park assist system from ParkSense, and a roadside safety kit from the Department of Transportation. 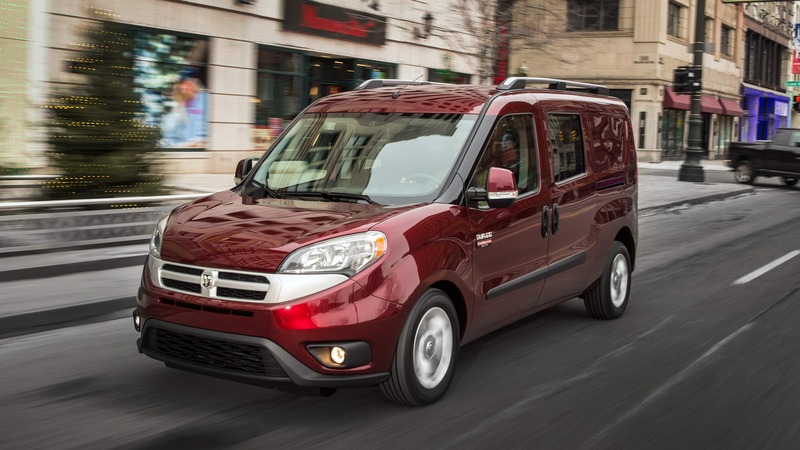 What kind of powertrain does the Ram ProMaster City utilize? Under the hood of the 2018 ProMaster City van is a capable and powerful powertrain to help you get the job done. Each model is powered by a 2.4-liter Tigershark 4-cylinder engine with MultiAir2 technology that delivers 174 lb-ft of torque and 178 hp. 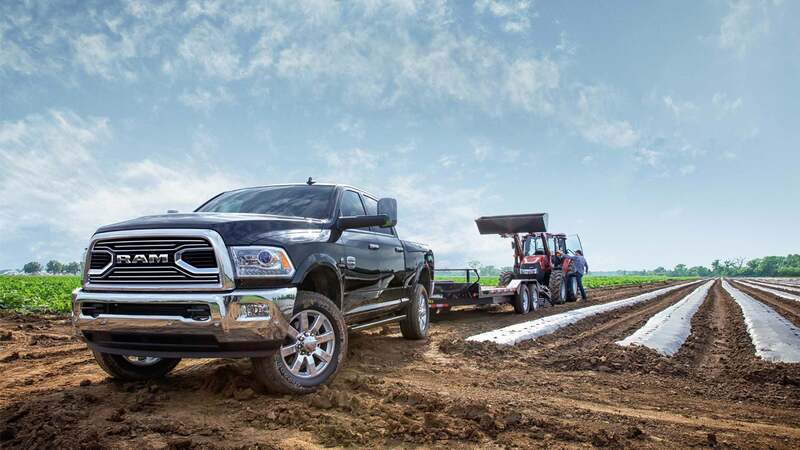 This engine delivers the best torque, horsepower, and driving range in the class! 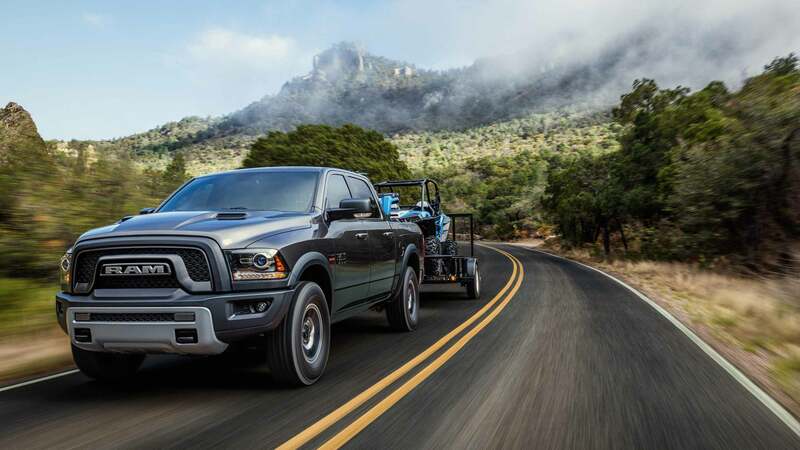 Ram pairs this engine with a nine-speed TorqueFlite automatic transmission which is outfitted with Electronic Range Select to provide drivers with complete control of the transmission. 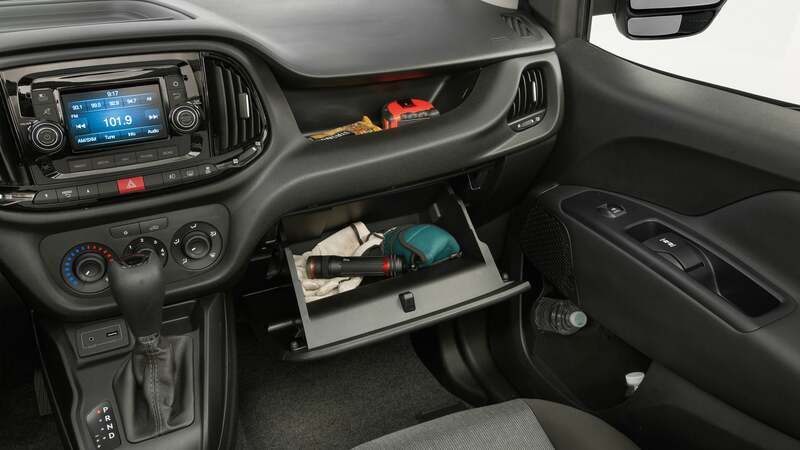 The ProMaster City offers other capabilities including the best in class cargo room at 131.7 cubic feet and a span of 48.4 inches of room between the wheel wells. That's enough room for pallets to fit comfortably! Tradesman models can haul up to 1,885 pounds inside and up to 150 pounds on the roof. 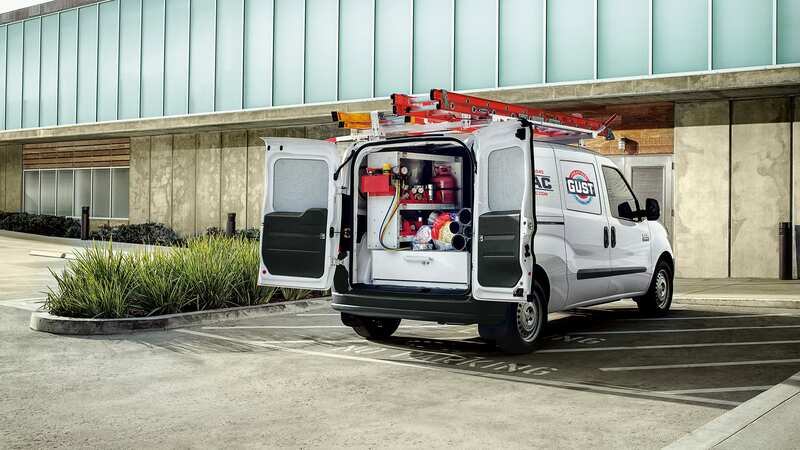 If you have oversized cargo, the ProMaster City can also tow up to 2,000 pounds to help you get the job done! The 2018 Ram ProMaster City van caters to a wide variety of drivers with two unique body styles and modern features. Whether you have play or work on the calendar this work van is up for the challenge and adventure. To learn more about this capable vehicle fill out our contact form below or give our sales department a call today! Visit our showroom to check the ProMaster City out in person and even take a model out for a spin.